These recipes were specifically designed for somebody who has never made cold process soap before. If you’re new to soap making, lye safety is the most important part. Much like driving a car, lye is safe when handled properly. When it is not, it can be extremely dangerous. To learn more about lye safety, check out the Back to Basics: Lye Safety Guide. This post teaches you how to properly store, handle and mix your lye solution for cold process soap. In addition, check out the How to Make Cold Process Soap: Lye Safety & Ingredients video on Soap Queen TV. Once you understand how to handle lye safely, it’s time to start soaping! Many beginners want to dive right into complex soap techniques with milk soap, swirls and other additives. While I truly love the enthusiasm, I recommend starting with an extremely simple recipe. The Simple & Gentle Cold Process Recipe uses three oils, no fragrance and a recycled mold to create a basic bar of soap. This project gives beginners practice with mixing lye, lining a mold, measuring oils and emulsifying the soap batter. Once you have a basic recipe under your belt, it’s time to experiment with butters and fragrance. The Creamy Orange Cold Process Tutorial introduces cocoa butter to practice with medium/thick trace. 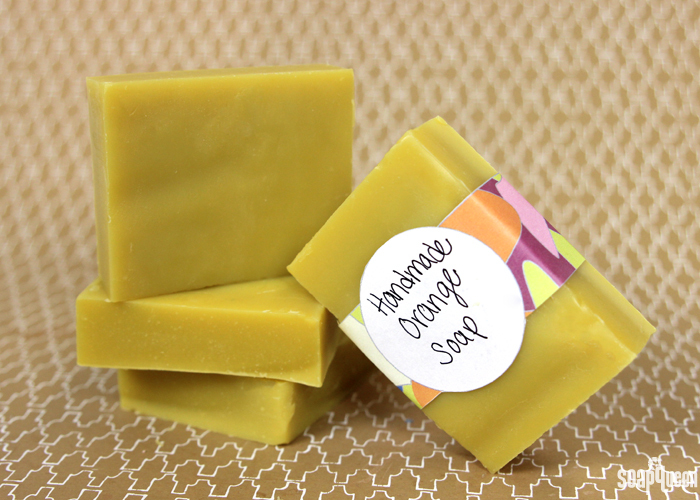 It also uses 10x Orange Essential Oil, which gives the soap a lovely, natural orange color. To give the soap a little extra flair, the Back to Basics Kit includes a free PDF for cute multi-colored soap bands. Simply download the template, print, cut and wrap the band around the bars. Both the Simple & Gentle Cold Process Soap and the Creamy Orange Cold Process Soap use a recycled USPS Flat Rate Box for the mold. 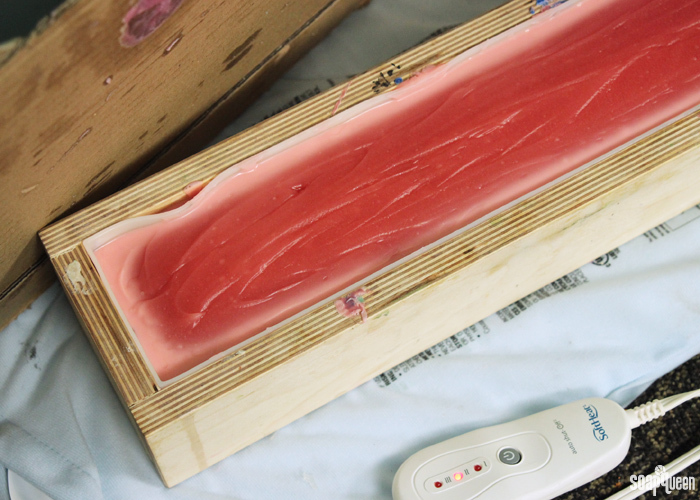 Recycled molds are a great way to try cold process soap without investing in a mold. Once you fall in love with the process, it’s time to choose a mold. The Back to Basics Kit comes with the 10″ Silicone Loaf Mold, which is easy to clean and does not require lining. Check out the Back to Basics: How to Choose a Soap Mold post to learn about the various mold options, including the pros and cons of each type. 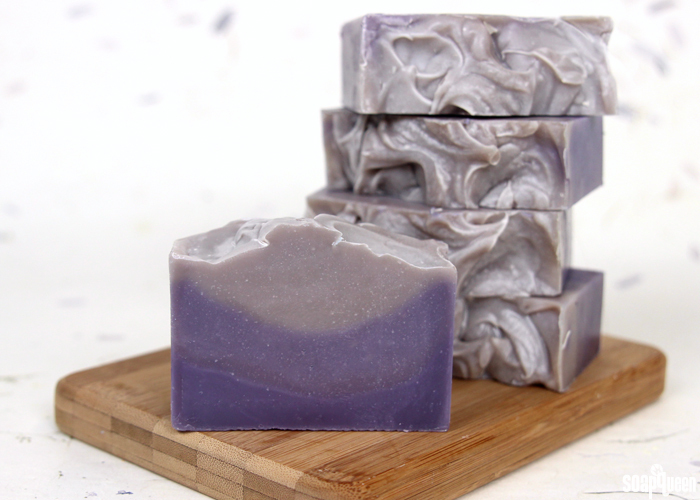 The third tutorial in the Back to Basics series is the Layered Lavender Cold Process Soap. 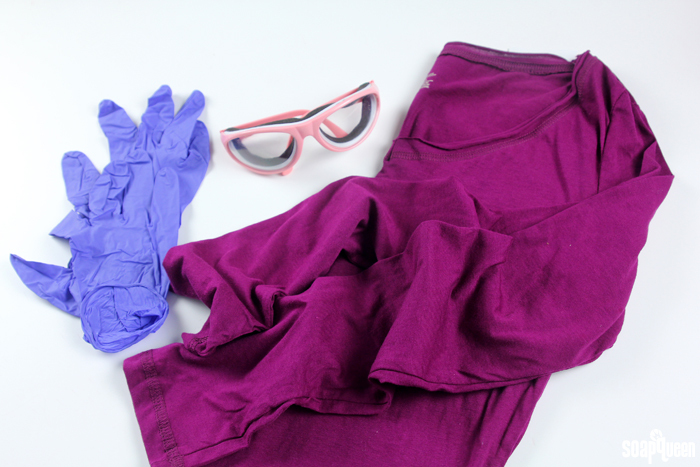 It’s perfect for beginners who are looking to take the next step with color! This project features ombre layers created with Periwinkle High pH LabColor for soft lavender hues. In order to keep the layers separate, each layer is stick blended into a thick trace. When using LabColors, it’s important to keep the soap insulated to help promote gel phase. Gel phase helps the LabColors become incredibly bright and vibrant! Click here to learn more. 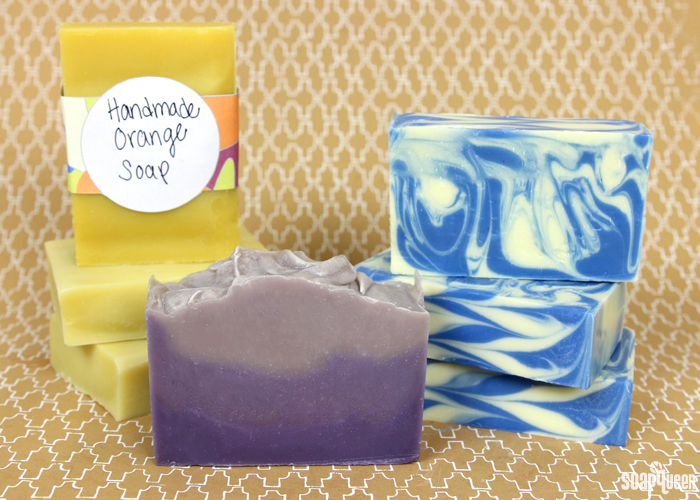 The Layered Lavender Cold Process Tutorial is a great example of how temperature affects cold process soap. Soaping temperature refers to the temperature of the oils, lye solution and ambient temperature. Crafters soap at a wide range of temperatures depending on personal preference. 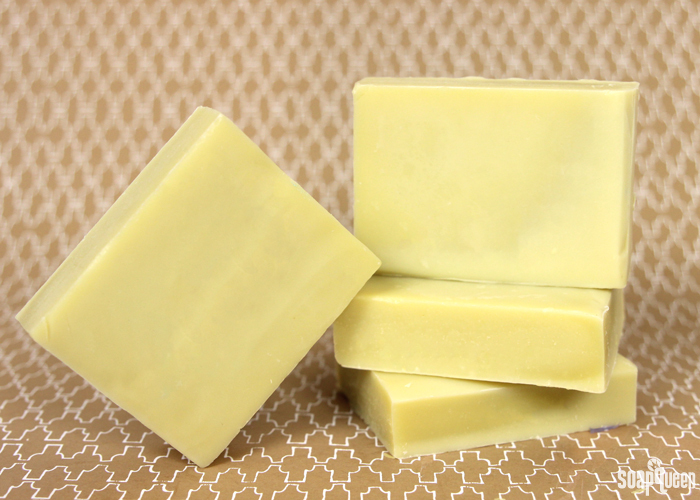 For most soapers, the preferred temperature of soaping lye and oils are 120-130 ° F. Check out the Back to Basics: How Temperature Affects Cold Process Soap post to learn more about temperature and soap. Once you’ve tried a project with thick trace, it’s time to experiment with thin trace! 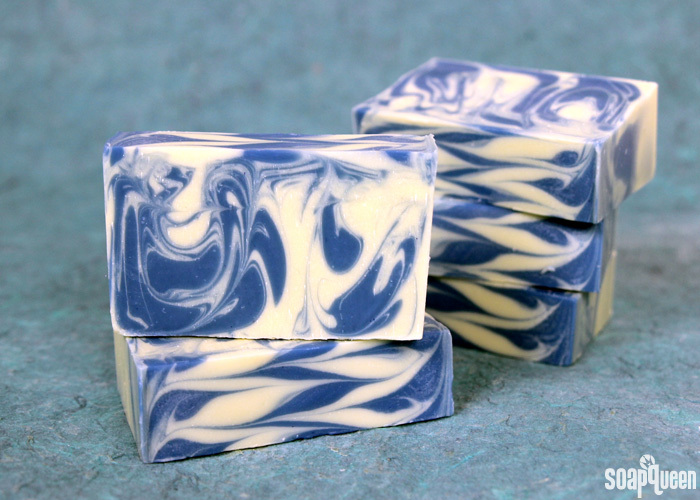 The Crisp Cotton Swirl Cold Process Soap uses thin trace to create a drop swirl within the soap. This type of swirl is great for beginners because it does not involve precise movements; simply drop the colors of soap into the mold and allow them to swirl together! To give the design extra movement, the Hanger Swirl Tool is used as well. The top of the soap is then swirled into a thin zig-zag pattern using a dowel. When creating swirls with cold process soap, be sure to use a well behaving fragrance oil and plenty of slow moving oils such as olive or canola. ProProfs Quiz- Back to Basics Cold Process Quiz! Hi! Just wondering when you are going to send out the promised e-book? Yay, got them all! I even tested my spouse to see how much he listens to me, and he only missed one question! I guess he really does listen when I babble about soap. What a fun quiz! I passed and received my certificate but did not receive my Making Milk ebook that I was so looking forward to! I had put down my email address–is that something you are waiting to send out when the month is over? Thank you for the tutorials. I enjoyed the quiz, (passed). This helps me a great deal when I want to learn something new and need to troubleshoot. Thank you Bramble Berry! I liked the quiz very much. It is nice to do this after the back to basics tutorials. The tutorials were very helpfull as well. There is always something in them you did not know yet or that you have forgotten. 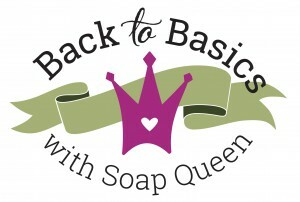 I enjoyed the Back to Basics series. Really great info. I took the quiz yesterday but did not receive the e-book. I’ve checked my spam folder. Could you please send. Thanks! The quiz was a lot of fun! 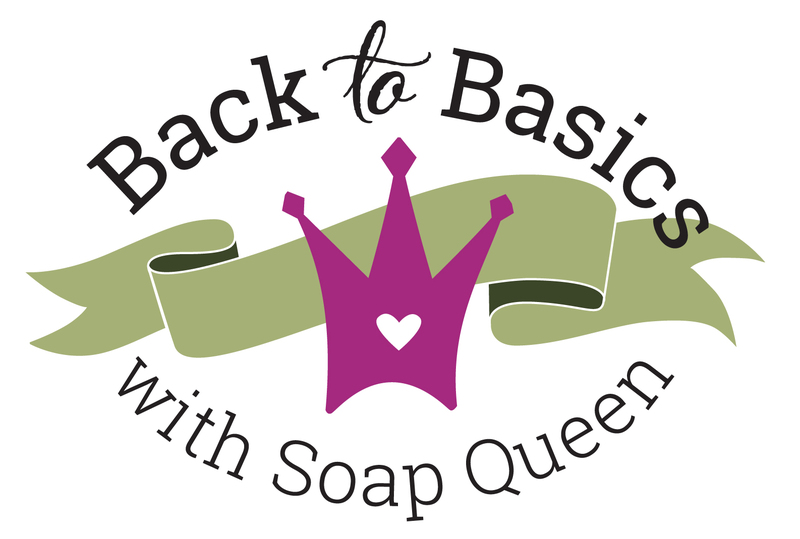 I have really enjoyed the Back to Basics Series and I have learned so much. Thank you! Hi, not sure what’s going wrong with my computer, but I entered my email address a couple of times and didn’t get to the quiz – was really looking forward to it!! Have really enjoyed the tutorials!! Took the quiz, got 100% shared it on two of the facebook soap groups I belong to several of us have taken it and none of us have gotten the ebook and yes I checked my spam folder. I get the daily emails so that shouldn’t be it. Love doing quizzes! Agree with Olivia, should do this more often. Looking forward to receiving link to e-book as never tried one before and interested to see what it’s like. Thank you for adding it as a ‘prize’. Also, I totally understand – I was very nervous the first time I made cold process soap. When working with lye, it is very important to take the correct safety precautions. However, with the correct precautions, cold process soap making is a safe process! I really look forward to reading your blogpost each day, and save many of your posts for future reference. Passed it! Just missed one! This was fun, you should do quizzes more often! I never did receive an email with the Making Milk Soap E-Book. Are you still sending that out? Yes, we will be sending that out very soon! We wanted to make sure that lots of people were able to take the fun quiz first. That way, as many people as possible will receive the book. Look for it in your inbox soon, and thanks so much for your patience! l submission”, with question one showing. There is no link or any instructions about how to proceed or submit. I tried to post a message earlier but for some reason it wouldn’t let me. My message being – nevermind. I had tried doing this quiz on my tablet but it didn’t seem to be properly displaying for that app. I later did it on my computer and worked out fine. Thanks.